The stagnant server market has heated up over the last few years, due in no small part to the advent of “white box” server vendors grabbing an increasing share of the cloud business. Enterprises have been reluctant to follow the lead of hyperscale data center vendors to off-brand server competitors, largely because of a lack of enterprise-grade service and maintenance options. But the economics are compelling. “White box” is a reference to the off-brand PCs built by independent PC vendors, which used to dot the landscape and appeal to buyers who built their own PCs with a plain beige tower and no vendor label on the box. In the server market, “white box” refers to vendors that are not the big three: Dell EMC, HP Enterprise and Lenovo. According to IDC, in the second quarter of this year, Dell EMC led the server market with 574,000 units sold, followed by HPE with 443,000 and Lenovo with 224,000. But the next three players weren’t familiar data center vendors Cisco, Oracle, or Nutanix. Rather, it was China’s Inspur with 203,000 units, China’s Huawei with 187,000, and Super Micro from the U.S. with 175,000. The rest of sales were tossed into a group called ODM Direct, which accounted for 732,000 units. Sales from those non-big-three vendors are going almost exclusively to hyperscale data-center vendors like Amazon, Google, Microsoft, Facebook, Equinix, Cloudflare and other companies building data centers measured in acres. And the Fortune 500? Not so much. They are sticking with the name brands, according to IDC. The reasons for enterprise reluctance are twofold, according to Ashish Nadkarni, group vice president for worldwide infrastructure at IDC. “White boxes sell in places where they have volume agreements or original design requirements. Enterprises don’t have a sustained volume requirement or original design requirements. So it makes it difficult to supply thousands and thousands of servers quarter after quarter. Enterprises don’t buy in that kind of server volumes,” he says. The other reason is enterprises look for a lot more than the hardware. “They look for a relationship and service and support and software certification. They are looking for enterprise-grade service and maintenance, and those are things white box manufacturers are not able to provide,” he says. If a server fails in a hyperscale data center, the hyperscaler just moves the workload off the machine and eventually fixes or replaces it. There’s enough padding in hyperscale environments that they can simply turn on another server and continue business as usual. Enterprises don’t have that luxury, Nadkarni says. Corporate data centers are not known for having extra capacity. It’s usually the opposite. How well white-box servers are doing is debatable, and even the industry can’t agree. White box vendors are making progress in the area of Web scale apps, says Phil Mogavero, vice president of HDC partnerships at PCM, one of the largest resellers in the U.S. “If I’m a scale-out Web company that may have a large internal system footprint but also a large Web presence, some customers are implementing white-box technology because they can save a little money. But it’s less prevalent than one might think,” he says. 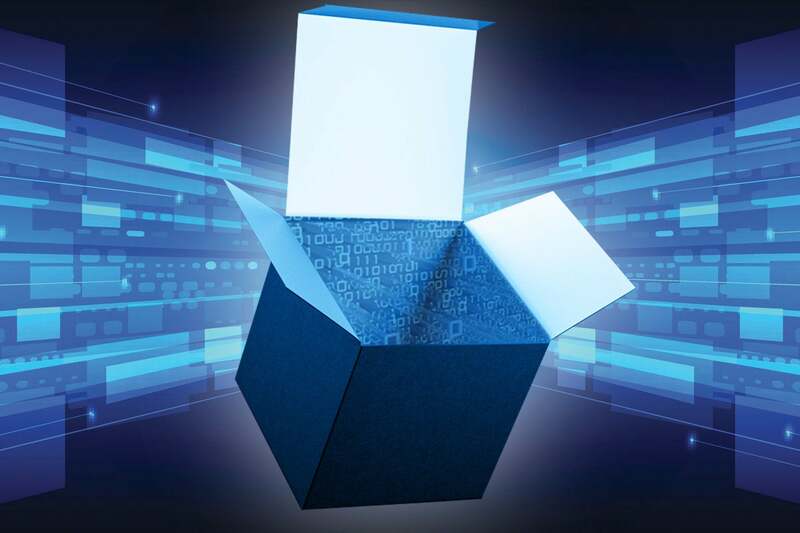 Michael McNerney, vice president of marketing and solutions with Super Micro, a San Jose, Calif.-based white-box vendor, says there is some interest from enterprises that are looking to see what’s driving the public cloud and are copying that strategy. “[Enterprises] are saying ‘this is how Facebook and Google are building these things. Ultimately I’ve got to compete with AWS, so how do I compete?’” he says. Super Micro competes on price and customization. “Where we really come in and add value is the ability to customize the configuration. We have a few hundred potential configurations for two-socket servers, and we drive down cost with efficiencies. The legacy guys have one server to do everything and overengineer it to do everything,” he says. Super Micro has the advantage of being based in the U.S. Many white-box vendors are from China and have minimal presence in the U.S.
Inspur, the Chinese vendor that cracked the top five for sales in both IDC and Gartner market-share reports, has an office in Fremont, Calif. and a development office in Bellevue, Wash. However, the company’s sales and support presence isn’t anywhere near the scope of an HPE or Dell EMC, and a company spokesperson says the firm for now is focused on hyperscaler data-center companies like AWS and Facebook and won’t even try to play in the enterprise for a few years as it builds its U.S. reseller infrastructure. That will likely hurt them with the enterprise, at least for the near future. Large airlines, financial services firms, and health care companies want to know the manufacturer they are using will be there when they have issues, Mogavero says. “That doesn’t mean that manufacturer has more or less reliable tech, but [customers] want the support services the [major] manufacturer can provide,” he says. Joshua Holmes, CEO of the hosting company LightSpeed Hosting in Cleveland, Ohio and a Super Micro customer, says there is nothing from a hardware perspective you can get from Super Micro that you can’t get from Dell, and vice versa. He notes that the memory, CPUs, and hard drives are the same name brands the big server vendors use. “A lot of these chassis are made from the same Chinese manufacturers. When you buy a [similar] box from Super Micro and Dell, 80% of the parts come from the same Chinese vendor,” he says. “Players we know who go Super Micro always do it on cost. We’ve never had to call them on support because we’ve never had anything break,” he says. Holmes says he can get servers from Super Micro for $5,000 for a specific configuration that would cost $20,000 from Dell. However, that’s because they buy the hardware in pieces and his technicians assemble the servers. Super Micro servers are available pre-built, but that increases the cost, so Holmes’s company builds its own. That’s how Amazon, Google, and other giant data-center operators roll as well – they buy the parts and build the servers themselves. Holmes acknowledges that not every company has the luxury of building their own servers like LightSpeed does. “A CPA office with one server could make the argument they need the best support, and it would be hard pressed to convince someone like that to go with a name they never heard of,” he acknowledges. “There’s a challenge there." But Dr. Tim Lynch, CEO of custom high-end server builder Psychsoftpc in Boston, Mass., says the opposite is true. “My experience has been that small and medium-sized companies are not as concerned about the whole name-brand thing. The larger companies tend to be more brand-conscious,” he says. Like Holmes, he found a major savings in buying the parts – the same ones Dell, HPE, Lenovo, and Cisco use – and building the systems. “Customers have said they would pay five thousand dollars more to get the same machine from HP from the one we build,” he says. Psychsoftpc also builds Nvidia-based Tesla supercomputer clusters, and the big-name-brand Teslas start at $40,000, whereas his start at $8,500. “Part of what makes it cheaper is to build it ourselves, and also we don’t have the major overhead they do,” Lynch says. Lynch admits he can’t match Dell and HPE on 24/7 customer service, “but we do provide service as best we can. Honestly it’s rarely been an issue for us. We’ve only had a couple of problems we had to deal with,” he says. Holmes says the biggest problem he has is with power supplies, not the computers themselves. “I have not seen more failures than other brands. We have one client who has one hundred percent Cisco servers, and he’s had more failures than we had,” he says.